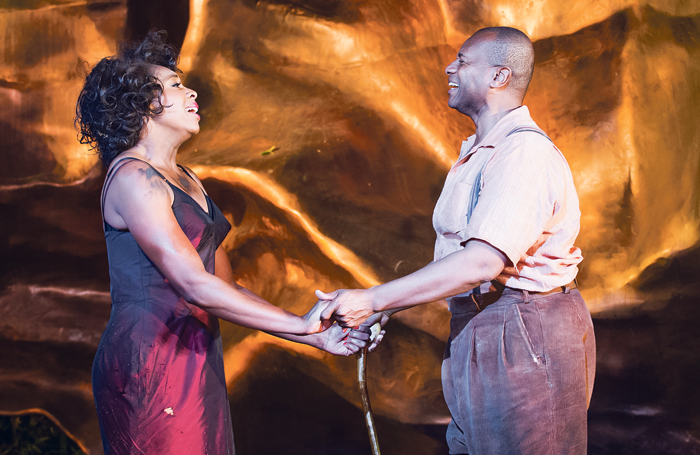 One of the West End’s most sought-after musical directors is pondering the question of awards. Why is there no designated category for best musical director at the Olivier Awards, given the importance of that role to a musical’s success? The only possible answer, concludes Gareth Valentine, is that he and his fellow MDs are not perceived as ‘creatives’. 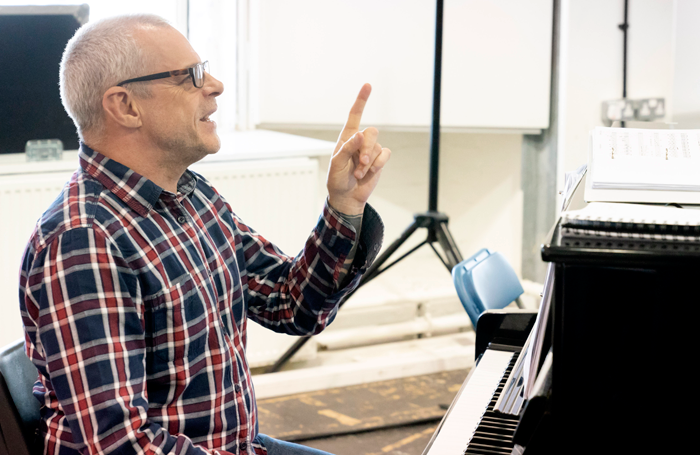 Valentine has arranged innumerable scores over his 30-year career in musical theatre, the latest being Me and My Girl, directed by Daniel Evans , which opens tonight (July 9) at Chichester Festival Theatre . Originally produced in 1937, Me and My Girl was successfully revived in the 1980s, with a new book by Stephen Fry and a cast led by Robert Lindsay and Emma Thompson. Mike Ockrent’s feel-good production ran in the West End for eight years – and three years on Broadway – winning an Olivier for best musical and three Tony awards. 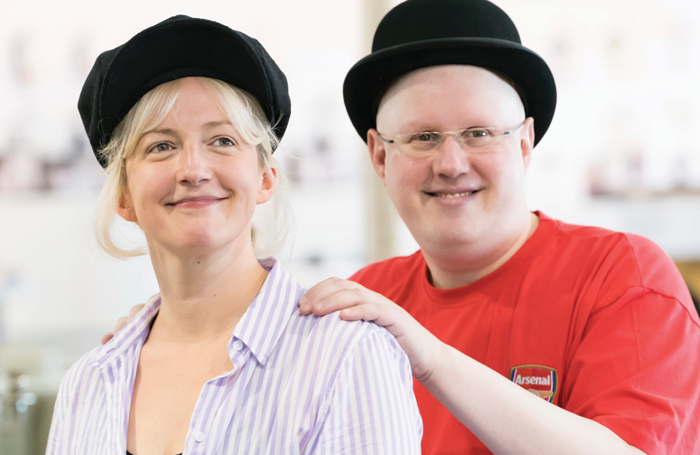 Evans is an old friend and colleague of Valentine’s – they first worked together in 2000 for the UK premiere of Stephen Sondheim’s Merrily We Roll Along at the Donmar Warehouse. Valentine grew up in Llangollen, north Wales, home of the International Music Eisteddfod. In 1975, he competed in the under-16s vocal solo event as a boy soprano and came second. Third place went to another boy soprano named Bryn Terfel. Assistant at Moss Bros. I measured John Le Mesurier for a dress suit for Ascot. That’s Eight at the Royal Exchange in Manchester. To listen more to my inner voice. The musical director Anthony Bowles, who did all the big Andrew Lloyd Webber musicals. He really pushed me. Three words: prepare, prepare, prepare. If you hadn’t been a musical director, what would you have been? An academic of some kind. No – that’s for people who are afraid of the dark. With an honours degree from the Royal College of Music, Valentine went on to study operatic singing with the tenor Peter Pears for a year at the Aldeburgh Summer School. He recalls: “I think I knew quite early on that my calling was always going to be music and greasepaint. I started playing piano at Heaven, the gay nightclub in Charing Cross, in the mid-1980s. There used to be an ‘Equity Night’ when cast members from the West End musicals would come in and sing. It may have been a stinker, but That’s Eight launched Valentine on his career path. He quickly realised he had exactly the right skills: improvisation, personality, sight-reading, versatility, transposition and, as he puts it, “the ability to sing things to the actors the way I wanted them to be sung”. Valentine was with the West End production for three years and then acted as musical supervisor for numerous overseas productions for the next 10 years. How does he maintain the kind of energy level you need to be a full-on MD for that length of time? “I’ve always been naturally energetic,” he says.